Sometimes, being a gamer on a budget has its advantages. A recent trend for AAA titles has been a refresh for retail that bundles in a bunch of extras. Often, these bundles are packaged as Game of the Year editions (and wow, there are a LOT of games of the year, who knew?) and go on to become long-term additions to store shelves. 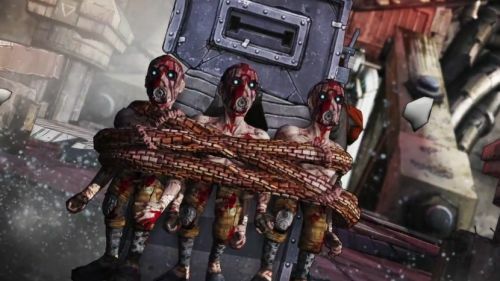 Like Borderlands before it, Borderlands 2 is also getting the Game of the Year treatment. The new package will be released in early October, and will be packed full of plenty of extra content. The entirety of the BL2 Season Pass is included along with the base game, which had lots of play value even alone. So what are all those extras? That's.. a lot of stuff. If you've held off from Borderlands 2 this far, it sounds like a good idea to wait just a few more weeks. The Borderlands 2 Game of the Year edition will retail for the standard $59.99.